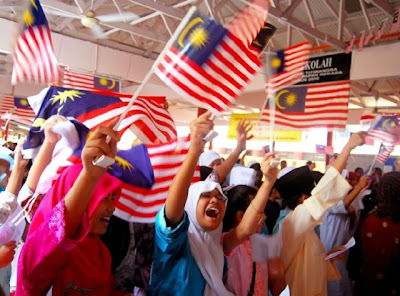 The Jungle Teacher: Happy 51st Birthday, Malaysia! Selamat Menyambut Hari Kemerdekaan Ke-51! Today, marks the 51st anniversary of my country's independence from British rule. Keep your eyes on the Malaysian political scene because it is about to peak! But on the inside, we might just experience a whole new level of freedom!